10 Who can find a virtuous and capable wife? She is more precious than rubies. and she will greatly enrich his life. and plan the day’s work for her servant girls. with her earnings she plants a vineyard. her lamp burns late into the night. and opens her arms to the needy. for everyone has warm clothes. 22 She makes her own bedspreads. She dresses in fine linen and purple gowns. where he sits with the other civic leaders. and sashes to sell to the merchants. 31 Reward her for all she has done. Let her deeds publicly declare her praise. How beautiful is that?! Now you know where that famous verse comes from. I’ve put together a few new products in my Stickelberry Shop on Zazzle with Proverbs 31:25 on them to help inspire us. May we all raise our standard a bit higher and be as noble as we can today and everyday. This entry was posted in Design Love, Everything, Gift Ideas, Inspiration, Mamahood, Products, Shop @stickelberry IG, Stickelberry Design and tagged bible, bibleverse, childofgod, christian, design, gift, gifts, girlgifts, inspiration, inspirational, momgifts, proverbs, proverbs31:25, quote, shelaughs, theword, wife, wifegifts, wifegoals, zazzle on July 14, 2017 by Danielle Stickel. Oh Hey, it’s a Giveaway! Don’t you love getting a new iPhone? I look forward to it every time it’s my turn to upgrade. But what I love even MORE is getting a new case (or two…or three?). Phone cases have become an accessory themselves nowadays. No longer are you limited to just a few single-color boring options; now, you can put anything on your case — it’s a blank canvas. I always get my cases through Zazzle because I can design my own! 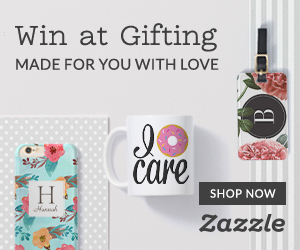 Apart from creating your own designs or putting your kids’ photos on your case, Zazzle has a HUGE gallery of cases designed by some amazing artists, and I’ve partnered with them to show you some beauties and host a giveaway! So let’s look at my favorites first and then we will get to the giveaway. I love the concept of the transparent case — peek-a-boo, I see you! I love the art on the clear case for it’s subtlety, it’s barely there but still apparent beauty. Bonus if you got a white or rose gold phone with this one. Isn’t she lovely? Reminds me of a nice glass of Rose! You can find and purchase this and other clear cases HERE. I mean come on – this is gorgeous! Is it marble? Is it a satellite image of an ice cap? Is it a pool of marbled paint colors mixing together? So pretty! This case has a matte finish which I happen to really like because it shows less wear and tear. You can find and purchase this and other marbled cases HERE. Another marbled beauty, but this one has a lovely motivational message on it! “It always seems impossible until it’s done” — that’s sure to get you going, especially given how lovely the script is. I LOVE this one – I wish I had an iPhone 7 to put it on but I’m not due for an upgrade just yet! You can find and purchase this and other inspirational cases HERE. So, those are just my top three choices from a TON of other gorgeous cases on Zazzle — available in both of the new iPhone 7 sizes. Go to the coupon page and copy yourself a discount code if one applies, then come back here and go to the iPhone 7 Case Gallery. Choose from hundreds of designs, or create your own! The sky is the limit, which is why I’m such a fan. 1st name selected gets 1st choice of the three, 2nd name gets choice of remaining two, and the 3rd name gets the last remaining case. Subscribe to the Stickelberry blog over up there on the right side of the screen. Find the Instagram post with the “Oh Hey it’s a Giveaway!” image, comment with an “I’m Done!” and tag a friend who loves cool creative things and stuff. That’s it. I will randomly select the THREE winners on SUNDAY, OCTOBER 16th and announce them one by one (as they need to select their cases, right?) on Instagram. Now Get To It! And let’s all say a word of Thanks to our friends at Zazzle for making this fun giveaway possible. ** Zazzle Affiliate Disclaimer Note Thingy: As an affiliate of Zazzle I will be paid a small commission for any products purchased through my links. But as you know, I only post what I love and it’s no question that I love my Zazzle. This entry was posted in Design Love, Everything, Gift Ideas, Just for Fun, Mamahood, Products and tagged art, case, cases, clear, contest, design, facebook, free, gift, giveaway, inspirational, instagram, iphone, iphone7, iphone7case, iphonecase, marble, marbled, motivational, rose, script, stickelberry, words, zazzle on October 9, 2016 by Danielle Stickel. Well, that year went by fast. Here we are, back in the season, scooping up all of the clothes, gear and supplies for our offspring to head back in to the classroom to grow and learn all the things. You know the last thing your kid wants is the same “_______” as someone else, so wouldn’t it be great to surprise them with some personalized coolness and unique duds that no one else will have? Zazzle can make this happen for us, friends! AND you can get 30% off right now through Sunday 8/21 using code ZBIGDEALFORU at checkout! First off, I LOVE these bags from Zazzle – they are lightweight, easy to clean and large enough to hold plenty. I totally dig these for my littles AND for myself, because hello – these are awesome for the beach, park, gym, wherever. They would make a great sports bag too! Check out my newest backpack designs here, or peruse the amazing Zazzle gallery of other unique backpack designs. They even have popular Game, Movie and Comic characters for the little fans out there. Next on my list for my dudes was a new lunchbox. Again, I wanted something totally unique for them and I hit the jackpot with these Yubo lunchboxes. They are totally customize-able and come in hundreds of designs! What I like the most about these is the fact that the faceplates COME OFF – so if you want a new design, you can just order new plates instead of a whole new lunchbox. Think about the possibilities — different plates for different seasons, or each new school year, etc. They come in other colors besides blue, too! It’s all washable, AND it COMES WITH the containers AND the icepack! So there you go — everything you need to pack your child’s lunch (or yours for that matter, I may indeed make one for myself). 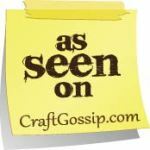 You can find my designs here, or checkout all the cool lunchboxes that Zazzle has to offer here. Let’s talk clothes. Shirts in particular. Kids love shirts with words. Funny sayings, things that express who they are and what they are into… I happen to know a lot of kids that are in to sports. Like, REALLY in to sports. ALL THEY DO is eat, sleep, and play their sports. Enough said. Check out my collection of back to school shirts here (more to come, I’m adding new designs daily! ), or peruse the entire gallery of SO MANY awesome and unique shirts on Zazzle. Have I mentioned that I love all things paper. I love love LOVE notebooks in particular – anything I can write or doodle in makes me SO happy. Get your child writing with these custom notebooks and journals! Great for taking notes, journaling, keeping scores… you name it. 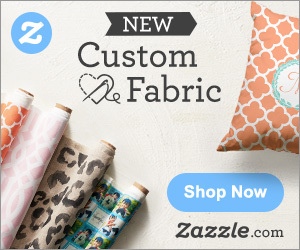 Check out my favorites here or view the entire collection that Zazzle has to offer! If you have an avid list maker, artist or poet on your hands, these pocket journals are THE BEST! You can customize the outside and choose what type of paper is on the inside: blank, lined, grid or checklist. I love the idea of customized binders – nowadays the older kids need one for every subject so why not provide them with super cool subject binders. You can put any text on them, so you could put their name or initials, the class the binder is for, etc., and they come in 1″, 1.5″ and 2″ sizes. You can find my designs here, or the entire gallery here. You can get popular characters like Superman, Batman and all of your favorite Disney friends! Don’t forget phone and tablet cases – there are so many beautiful and customize-able designs available on Zazzle! Here is my newest design from my Back to School shop — you can get them with a shiny or matte finish, available in 3 colors. You can find this and the rest of my cases here, or check out the rest that Zazzle has to offer here for iPhone, Samsung, Nexus, iPad and Kindle! So, my friends – go shop with confidence knowing that your kids will have the good stuff this year. Be sure to check out my Check Mate collection, featuring all of my latest checkered goodies inspired by my little dudes. Get 30% off right now through Sunday 8/21 using code ZBIGDEALFORU at checkout! This entry was posted in Design Love, Everything, Gift Ideas, Kiddo Love, Mamahood, Products, Stickelberry Design and tagged art, artist, backpack, backpacks, backtoschool, bag, bags, basketball, binder, binders, boys, checker, checkered, checkers, clothes, college, custom, customized, design, elementary, gift, gifts, girls, grade, gradeschool, highschool, journal, journals, juniorhigh, kids, lunch, lunchbox, lunchboxes, middle, middleschool, notebook, notebooks, notepad, notes, personalized, poems, poetry, preschool, retro, school, shirt, shirts, sports, subject, supplies, toddlers, top, tops, tshirt, volleyball on August 19, 2016 by Danielle Stickel.